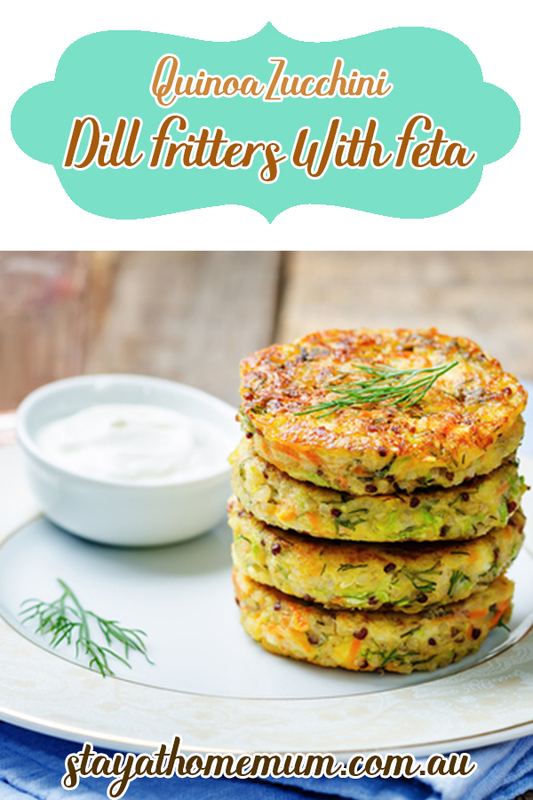 Whether you’re whipping up something for lunch, something for dinner, or a handy snack to eat on the go, these Quinoa Zucchini Dill Fritters With Feta are ideal. They’re healthy, filling, edible both when fresh and warm and also when cool, and full of delightful flavours. Zucchini is the backbone of these fritters, a versatile, cheap and readily available vegetable, but the quinoa means there’s no additional flours, no stodginess, and no oily aftertaste. The yoghurt dressing is entirely optional, but certainly recommended. In a bowl, place the grated zucchini and sprinkle liberally with cooking salt (not included in recipe list). Wait for 5-10 minutes to allow salt to draw water from the zucchini. With clean hands, squeeze the grated zucchini well to get out the water, then pat with a thin towel (not a paper one) to soak up any extra water. In a bowl, whisk the eggs and add in the feta cheese, grated zucchini, dill, garlic, onion and cooked quinoa. Add salt and pepper to taste. Combine well and then form mixture into patties about the size of your palm and not more than 2cm thick. Put the oil in a saucepan and heat until is starts to smoke. Add the patties, being careful not to overcrowd the pan, pressing each one with a spatula to flatten them. Cook for about 4 minutes on one side, then flip and cook for another 4 minutes or so until golden brown. If serving with yoghurt dip, mix the garlic and yoghurt together well in a bowl. This can be poured over the fritters, or served on the side. Top with extra dill to taste.